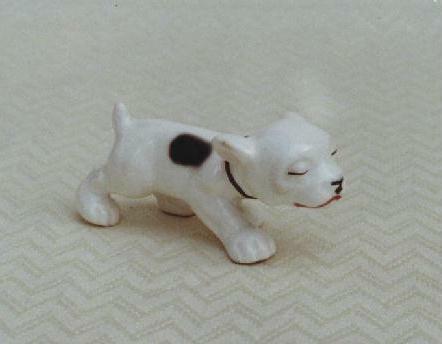 This series of fine bone china figurines were produced in the late 20's by the Grafton China company. 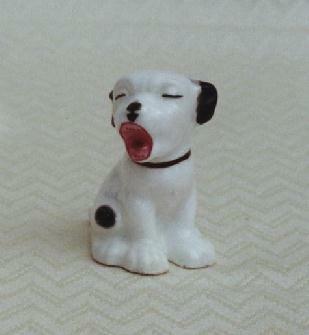 Named Swain's Studdy Series after the publishing company John Swain & Co. who reproduced many of the early Bonzo prints. The figures were each closely modelled on a print of the time. 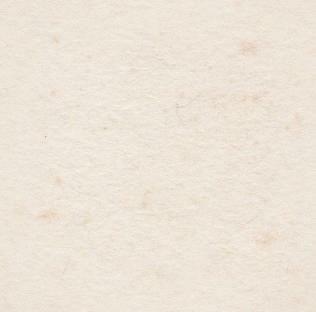 On "Bonzo" - the little walking figure - they managed to place the mark on the base of one of his feet! 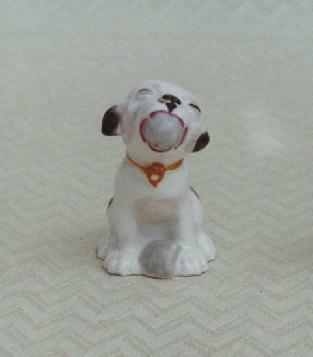 As has happened to many of these, the plate in his mouth is sadly broken off. 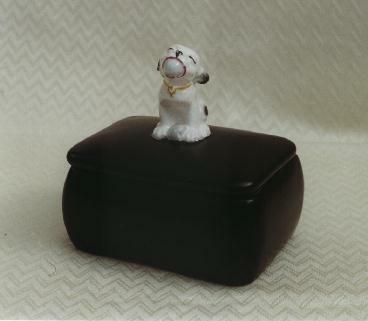 Another version of "The Ball Boy" mounted on a china container. 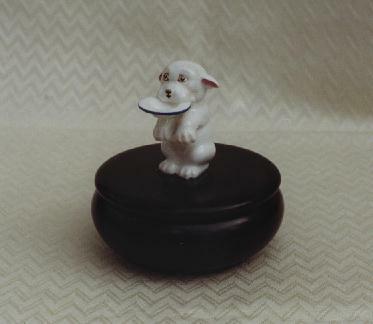 "Oliver Twist" mounted on a round china container. 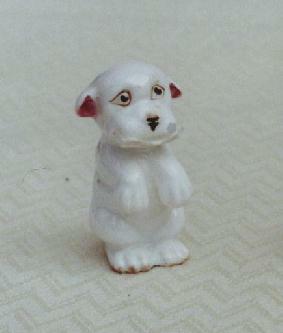 Luckily this one has survived intact with his begging bowl. 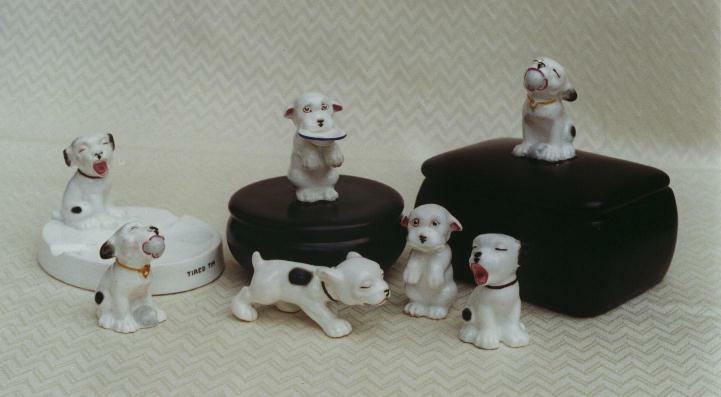 As well as mounted onto containers, the figurines were also placed on ashtrays. 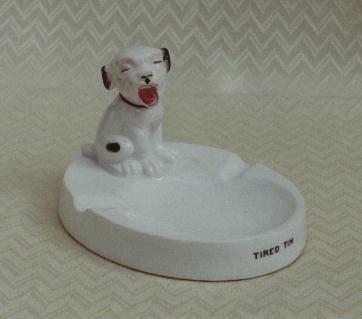 This example is of the "Tired Tim" figure.